Sotheby’s International Realty recently announced the brand’s 2016 Marketing Strategy, the foundation of which is focused on content and customization to reach and engage homebuyers. The brand is committed to developing and curating content, with a heavy focus on video and delivering it in an ‘omnichannel’ approach in order to create and maintain global brand recognition and awareness. Following the launch of the redesigned Sotheby’s International Realty web site in 2015 (SIR.com), which was built to showcase the network’s listings in an immersive and visual way; the approach to the 2016 marketing program was created with more of an editorial focus, while allowing consumers to research across a variety of platforms. 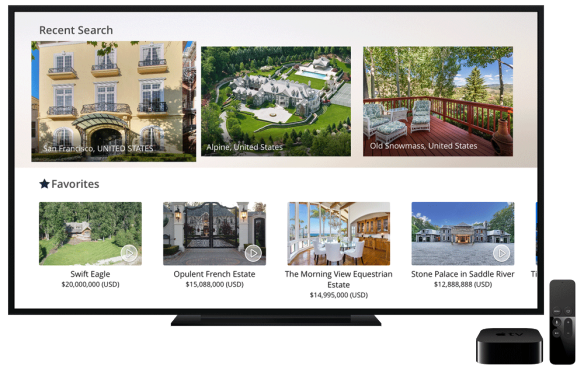 Sotheby’s International Realty will readily deliver its content through a variety of platforms such as its distinguished media partners, in both print and online, including: The New York Times, Wall Street Journal, Bloomberg, Architectural Digest, Mansion Global, Dwell, and Elle Décor, as well as the Google Display Network and Apple. In addition, the brand will share custom content on its newly-redesigned website, sothebysrealty.com, as well as its Extraordinary Livingblog and across its rapidly growing social media channels. The brand also will continue to work with Sotheby’s to produce Art & Home, the literary collaboration launched in 2014, designed to engage readers with sophisticated content related to the art and real estate worlds. The magazine consists of eight regional editions and has a distribution rate of 250,000 worldwide.